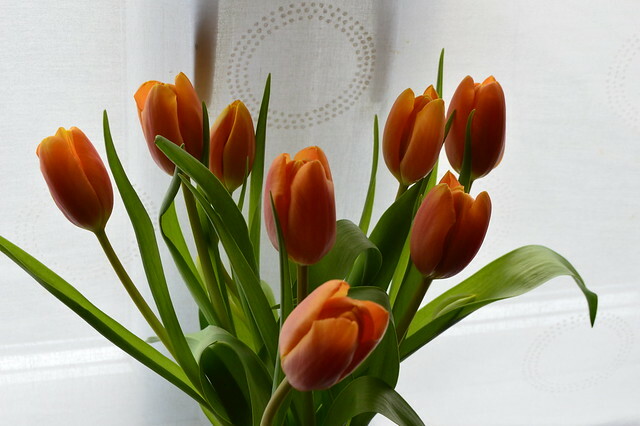 I took a chance on these tulips. They were closed, green and in desperate need of a drink when I bought them. They're looking lovely now they've had a bit of tlc. It does look lovely - like interlocking rings. Lovely blue as well. It will soon be time to plant bulbs here - daffodils are my favourite. Kitty loves the sun! Glad you are having mild weather. There is nothing a beautiful as a tulip in January! 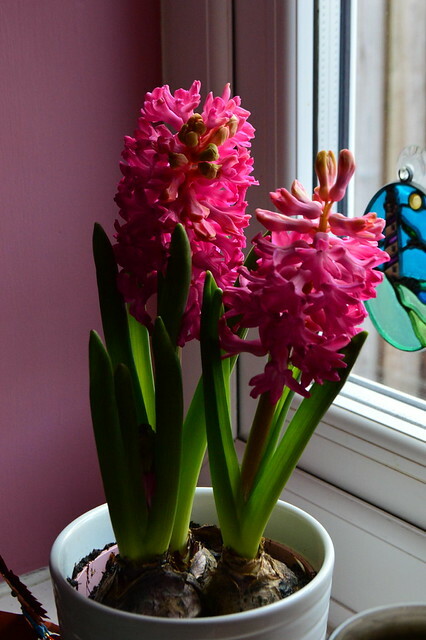 I like the vivid color of the hyacinths. Lucky girl to get a handknit cardigan from her mama and how awesome to have a daughter who appreciates it. What a gorgeous pattern! I can't wait to see the final product. Hyacinths and tulips?! LOVE!! Ms. Kitty looks like she is right where she is supposed to be...so content. Your cardie looks amazing in that colour, i look forward to seeing the end result. 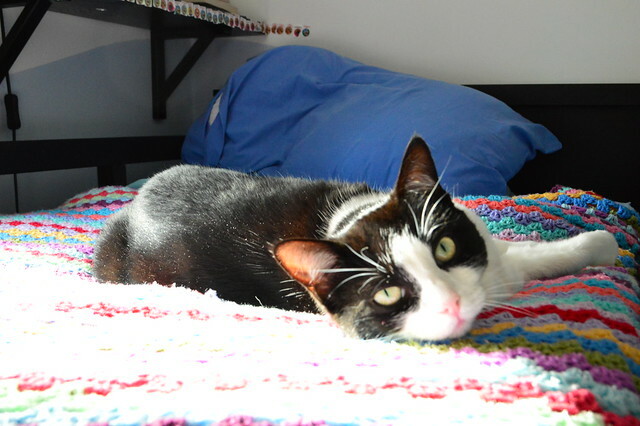 Amazing project and lovely cat! Ah - signs of spring! I love the cardi so far. It's one of my favorite colors. you sure do have lucky kids who get great hand knits. 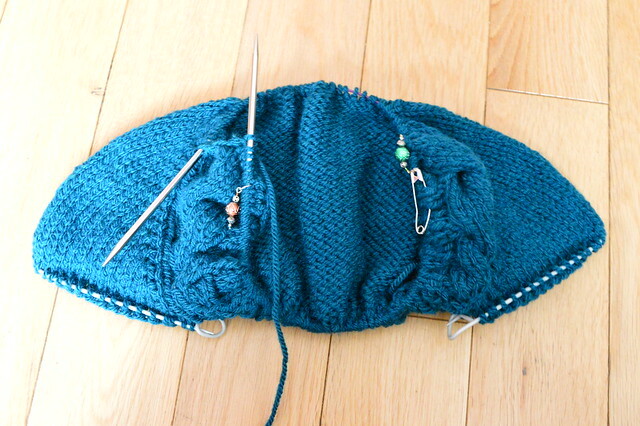 Love the new sweater on the needles.